I am a PhD candidate in the Graduate Program in Ecology and Evolution at Rutgers University. I conduct meta-research in the field of invasion ecology. 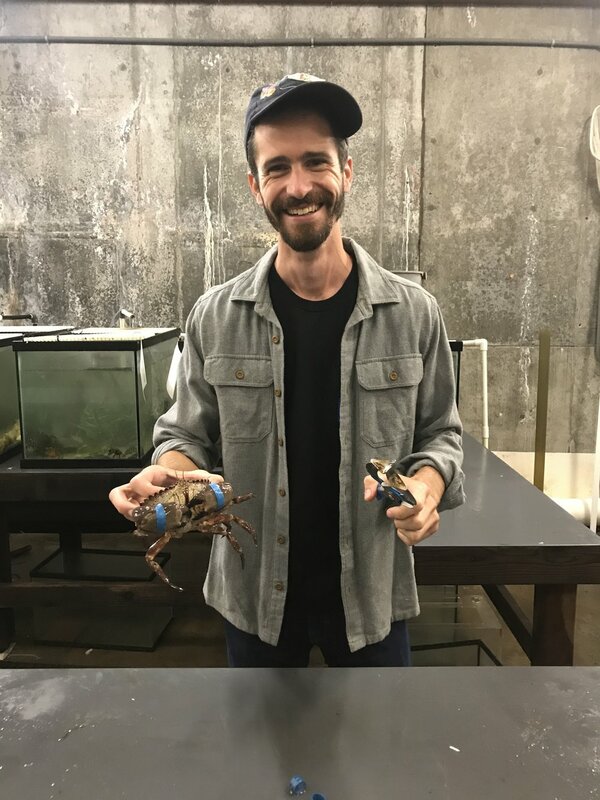 Invasive species impacts can be difficult to measure, and I work to identify whether invasion impact research is biased in the taxa or ecosystems where studies takes place. Currently, I'm working on a systematic review and meta-analysis to analyze the magnitude and scope of research bias in the invasive species impact literature. This year, I'm a visiting graduate researcher at UC Davis' Bodega Marine Lab out in California. In my free time I enjoy working on art projects and trail running. As vice chair, I help to coordinate workshops at the ESA annual meeting and engage students throughout the year. I also coordinate the student section liaisons who are critical in providing the student section with updates from the many sections and chapters within the ESA. Additionally, I hope to help bridge the gap between undergraduate and graduate students in the student section by designing events that are engaging for all students at various levels. I am a senior undergraduate at Eckerd College in St. Petersburg, FL, studying Marine Science (Biology Track). Over the course of my undergraduate career, I have participated in numerous research projects, from examining the habitat association of bottlenose dolphins to assessing the impact of pinfish on seagrass growth, all of which have been instrumental in developing my interest in marine ecology. Currently, I am examining the effects of tropical cyclones on soundscapes in the Gulf of Mexico. Upon completing my degree, I hope to pursue a Ph.D. in marine ecology, and conduct research at the intersection of human health and the marine environment. As student section secretary, I organize and coordinate ESA Student Section activities and members throughout the year as well as in preparation for the ESA annual meeting. I hope to foster a welcoming atmosphere for all students within the student section and help students develop networking skills that could lead to future collaborations, internships, post-docs, and successful careers as ecologists. I’m a PhD candidate in the Department of Ecology, Evolution, and Organismal Biology at Iowa State University. My research focuses on invasive grasses in the desert southwest and how they promote changes in their plant community, such as fire frequency. I work to understand how these grasses interact with the abiotic environment in order to successfully invade areas as well as determine future risk of invasion in non-invaded habitats. In my free time I enjoy hiking exciting trails, knitting and crocheting, and teaching my dog new tricks. As treasurer, I manage the student section’s finances and communicate with ESA’s Chief Financial Officer. In addition, I plan section events for annual meetings with fellow executive officers. My goal for the Student Section is to create a community for students to connect with one another while we move up the ranks and into our careers. Creating an environment that promotes collaborations with future colleagues is exciting and invaluable--we may as well start these relationships now! The Student Section is a great platform to bring students together throughout the year. I am a Ph.D. student in the Plant Sciences Department at Montana State University in Bozeman, Montana. My areas of interest are in evolutionary ecology and population genetics. I am most interested in eco-evolutionary dynamics and using that framework to study aquatic plant management. Within that, I am interested in identifying herbicide resistance and the genes that may be contributing to it in my system. As the social media coordinator, you will help disseminate information about section news, as well as other information relevant to students. This includes newly published papers, job openings, grant opportunities, and student events throughout the year and at the annual meetings. Follow us on Facebook and Twitter @esa_students! Please contact us if you are interested in this position for 2018-2019. Click here for the officer document detailing the position. I primarily manage our website so if you are interested in helping manage the website or have suggestions for improvement, feel free to contact the student section or myself. I’m a big fan of the Student Section because it’s strong network of students all motivated to better themselves and each other. I have strong feelings about the need for students to take part in communications activities, and plan on bringing another science communication workshop to ESA2019. I also think it’s important for students to forecast their own futures and be proactive in achieving their goals and advancing the field of ecology. I received a B.S. in Biology in 2016 from the University of Maine and am now in the 2nd year of a Masters degree at Florida International University. At FIU, I work within the Florida Coastal Everglades Long-Term Ecological Research program (www.fcelter.fiu.edu) studying the affect of sea-level rise on the carbon storage capacity of coastal marshes using field and spatial analysis techniques. Broadly, I’m interested in studying global change across ecosystem types using a mixed bag approach (field, lab, quantitative). I’m also Managing Editor for Rapid Ecology, a community-based ecology blog.